An irregular verb is one that does not form its simple past tense or its past participle by adding -ed or -d to the base form. Irregular verbs contrast with regular verbs, which form the simple past tense and past participle by adding -ed or -d.
Use the buttons to form the past tense and then the participle of the irregular verb shown. The second form (e.g. learnt, dreamt) is more common in British English. The terms irregular verb and strong verb are not synonyms (i.e., they do not mean the same). 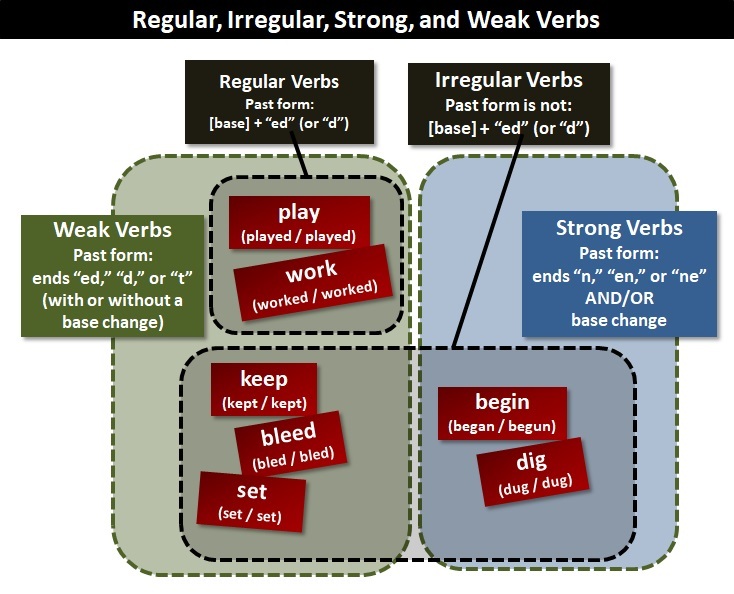 Similarly, the terms regular verb and weak verb are not synonyms.